The Rocinante seeks a new gameplan as they attempt to avoid capture. Melba’s true motives are revealed. Naomi is torn between identity and ideal. Holden sees past, present, and future. A ghost from Melba’s past threatens her mission. Bobbie struggles to trust an old friend as she leads a group into unchartered territory. Drummer and Ashford find themselves trapped with few options for survival. Anna tends to the wounded masses as Melba continues to hunt down her prey. The Rocinante crew struggle to survive as Naomi reunites with her true family. The Expanse is the best sci-fi to come out in years. How do people not know about this show? This show can be enjoyed by anyone that enjoys complex well written characters and human drama; science fiction is merely the backdrop to tell these stories. I support sci-fi and TV shows of this caliber and the only way great shows like this can survive is by supporting the show with my dollars. I’m buying Season 3 to show my support and to look forward to a 4th season. The Expanse explores the nature of human conflict, community, culture, power structures, powerlessness, and so much more; the characters and worlds built are rich and engrossing. I am rooting for humanity, despite all of its flaws. 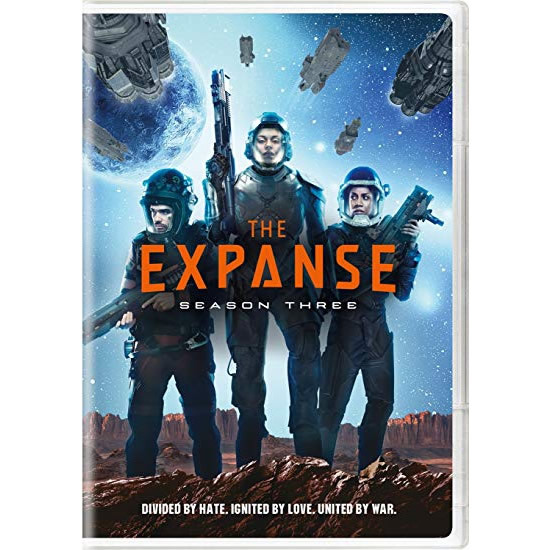 If you love The Expanse and want to see a Season 4, supporting the show and its crew with your dollars is the best thing you can do to. Without your support, Season 3 could be the last. “This station is dead, they just don’t realize it yet.” Don’t let this statement from the last season be some kind of meta foreshadowing of the show’s fate, keep The Expanse going!